Uglyworld #911 - "Holds On Tight!" (362-365), originally uploaded by www.bazpics.com. Babo was called in to the local ice rink today to help a poor Scottish bear out with keeping his balance. "Just don't lets go ok, holds on tight! 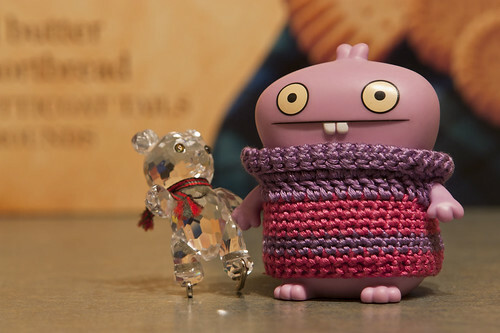 ", Babo explained while keeping a tight hold of the bears hand.